Welcome to Free Bible Teaching from LifeWay Groups Ministry. 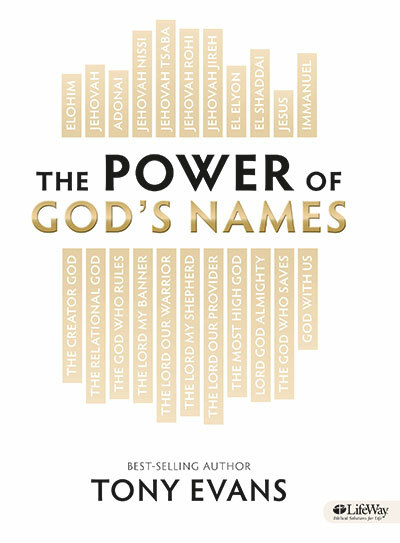 Here you’ll find audio teaching from some of our most popular authors and Bible studies. Just click and listen to find teaching to help you grow closer to Jesus. Or you can use these sessions to help your busy Bible study group prepare by listening to the teaching before you gather. For each study, there is a Bible Study Book that can be purchased to help you or your group have a deeper discipleship experience and get more out of this free teaching content. You can also find these episodes on our Apple Podcast page for Free Bible Teaching. 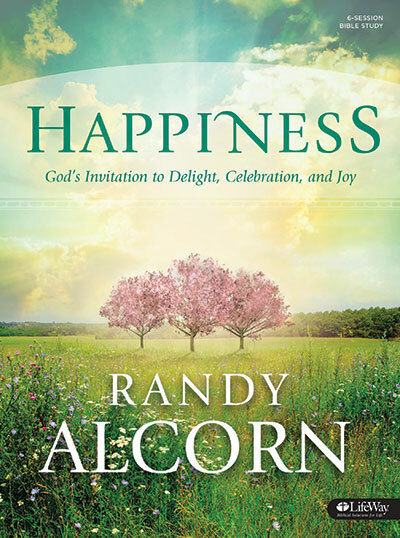 In Happiness, noted theologian and author Randy Alcorn dispels centuries of misconceptions about happiness and provides indisputable proof that God not only wants us to be happy but also commands it. This is the most definitive study on the subject of happiness to date and a paradigm-shifting wake-up call for the church and Christians everywhere. Randy Alcorn is an author and the founder and director of Eternal Perspective Ministries (EPM), a nonprofit organization dedicated to teaching principles of God’s Word and assisting the church in ministering to unreached, unfed, unborn, uneducated, unreconciled, and unsupported people around the world. His ministry focus is communicating the strategic importance of using our earthly time, money, possessions, and opportunities to invest in need-meeting ministries that count for eternity. He accomplishes this by analyzing, teaching, and applying biblical truth. Before starting EPM in 1990, Randy served as a pastor for fourteen years. He has a bachelor of theology and a master of arts in biblical studies from Multnomah University and an honorary doctorate from Western Seminary in Portland, Oregon, and has taught on the adjunct faculties of both. A New York Times bestselling author, Randy has written more than fifty books, including Heaven, The Treasure Principle, and the award-winning novel Safely Home. His books have sold more than ten million copies and have been translated into more than seventy languages. Randy has written for many magazines, including EPM’s Eternal Perspectives. He is active on Facebook and Twitter and has been a guest on more than seven hundred radio, television, and online programs. Randy resides in Gresham, Oregon, with his wife, Nanci. They have two married daughters and are the proud grandparents of five grandsons. Randy enjoys time spent with his family, biking, snorkeling, underwater photography, researching, and reading. 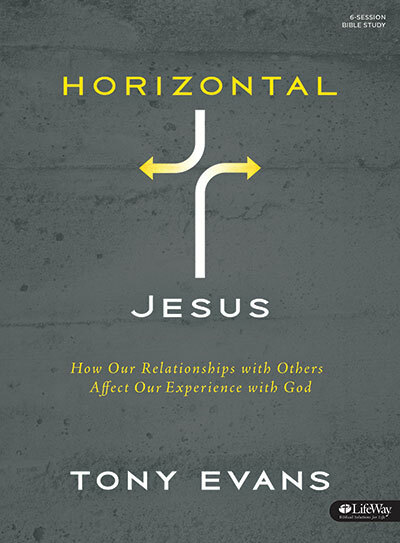 Discover how your vertical relationship with God is connected to horizontal relationships with others. Loving God is vertical love. Loving others is horizontal love. Jesus showed His disciples how these two loves are intertwined in practical ways. While our relationship with God is based on faith alone, He warns and encourages us to see that the way we treat people affects our experience of Him. In this study, you'll learn how to apply biblical principles drawn from several one-another passages in Scripture. In doing so, you'll reap blessings in your vertical relationship with God. Tony Evans is a pastor, teacher, author, speaker, and one of the country’s most respected leaders in evangelical circles. 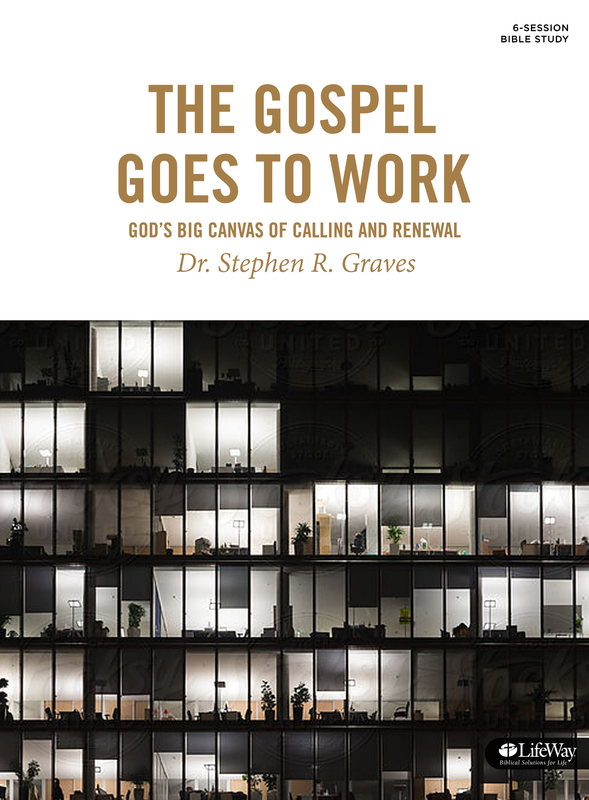 Through his local church, Oak Cliff Bible Fellowship, and national ministry, The Urban Alternative, Dr. Evans promotes a Kingdom agenda philosophy that teaches God’s comprehensive rule over every sphere of life as demonstrated through the individual, family, church, and society. The Christian life isn't about escaping this world to get into the next; it's about experiencing God's kingdom coming and His will being done on earth as it is in heaven. This Bible study pulls the original context of key biblical themes into our current understanding to unlock an exciting reality—one that isn't new, just forgotten. 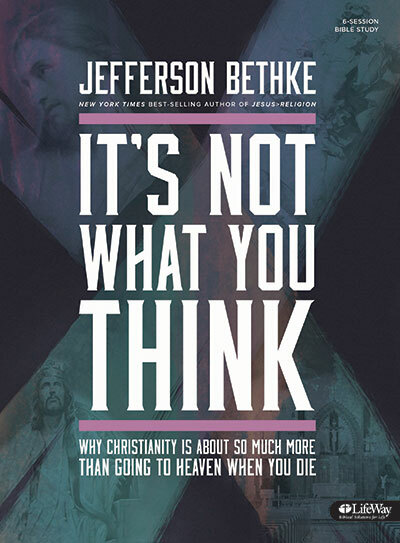 Jefferson Bethke is the New York Times bestselling author of Jesus > Religion and It’s Not What You Think. He and his wife Alyssa host the highly successful online challenge 31 Creative Ways to Love and Encourage Him & Her, make YouTube videos watched by hundreds of thousands of viewers each month, and host a podcast about relationships and faith available wherever podcasts are found. They live in Maui with their daughter, Kinsley, and son, Kannon. In Jesus, Continued, J.D. 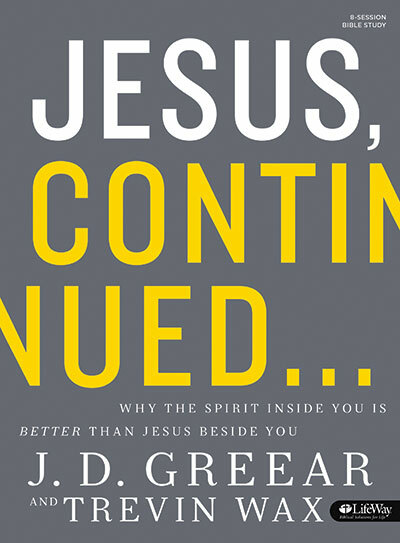 Greear focuses on a central truth that unites us: God wants to be vitally present in and through His people. To live empowered, fruitful lives, we have to become intimately aware of where God is moving in our lives, how He is speaking to us, and how He has gifted us. At the age of 27, J. D. Greear became the pastor of a 40-year-old neighborhood church. In the years since, that congregation of four hundred has grown to over five thousand in weekly attendance. Today the Summit Church, located in Raleigh-Durham, North Carolina, is one of the fastest-growing churches in North America. Reorient your life to the mission of the church, using the warnings, challenges, victories, and failures of the seven churches of Asia. 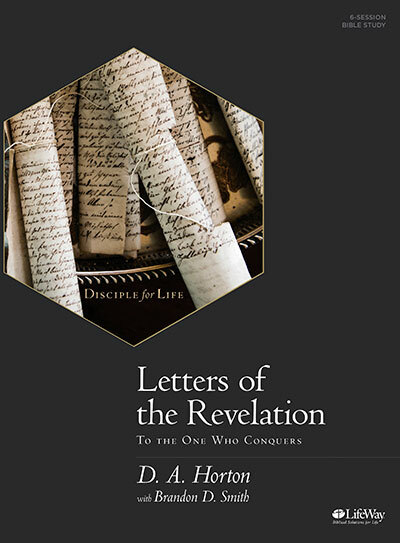 Revelation is perhaps the most studied and discussed book in the Bible. It begins with letters to seven different churches of the first century. 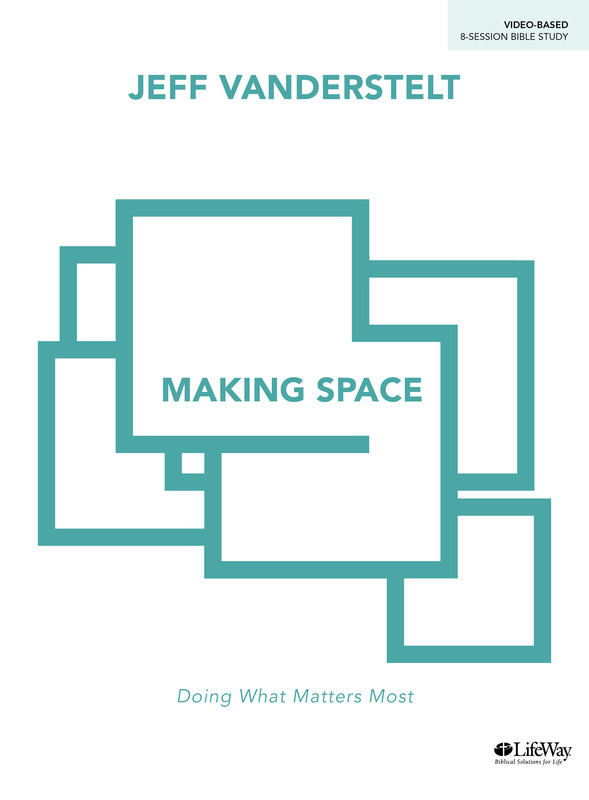 This study explores the challenges, failures, expectations, and victories of those churches. It gives believers a better context for end-times theology and reveals the cultural implications for the churches of those times and for churches today. Despite our best appearances, modern churches have shortcomings. Yet there is still time to awake from spiritual lethargy and deadness and embrace the mission God has for His church today. D.A. Horton serves as Pastor of Reach Fellowship a church plant in North Long Beach, CA & as Chief Evangelist for the Urban Youth Workers Institute(UYWI). Prior to his current roles he served as an urban church planter/pastor in Kansas City, MO, a National Coordinator of Urban Student Ministries at the North American Mission Board (NAMB) and the Executive Director at ReachLife Ministries, the non-profit ministry of Reach Records. Most Christians want to make real, noticeable progress in their walk with Christ. We long to forgive, to have a pure heart, and to find peace, but we just don't know how to get there. 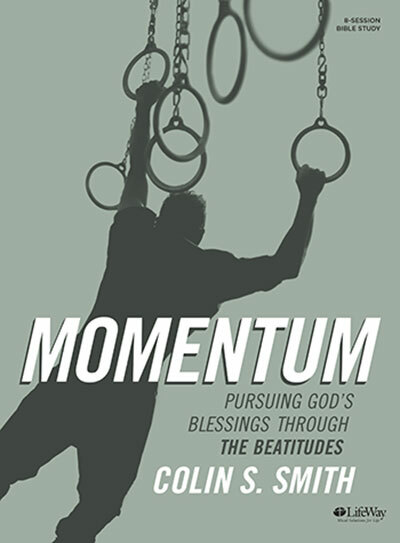 It's time to get unstuck and build momentum toward a more godly life. The understanding and strength we need to pursue holiness are available through the path Christ laid out for us in the Beatitudes. Find out what it really means to be poor in spirit, to be meek, and to mourn, and discover how those qualities will help you live a life in which God's blessings are abundantly clear and present. Christian parents are not seeking mere behavior modification in their children but the growth of truly godly passions. "Training a child up in the way he should go" must be done intentionally, with the mind and heart of God. 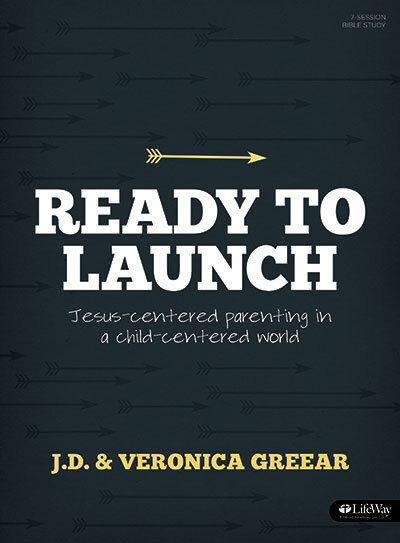 Based on Psalm 127, this 7-session study plumbs the wisdom of the Bible about the goals of parenting, the stages of discipline, the role of the church, and strategies to shape the heart toward the gospel. 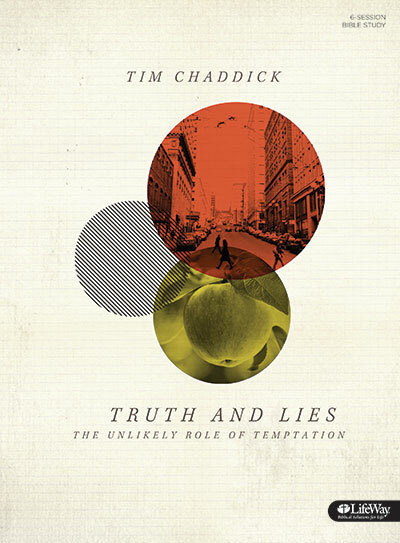 Tim Chaddick is the founding pastor of Reality LA, a rapidly growing church in the heart of Hollywood, California. Reality LA is part of the Reality family of churches, a movement committed to relational church planting and serving the broader body of Christ. Tim is the author of Better: How Jesus Satisfies the Search for Meaning. answers to a skeptical world. 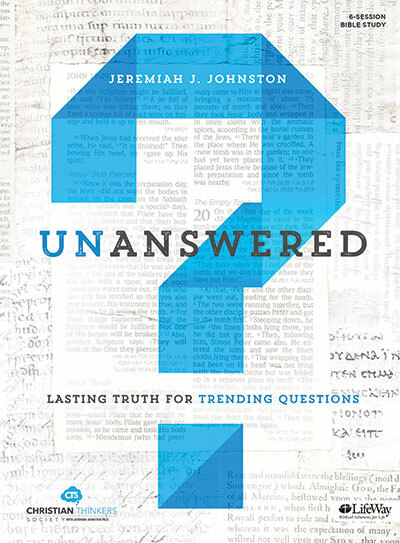 Dr. Jeremiah J. Johnston (Ph.D., M.A., M.Div., B.A) is a New Testament scholar, apologist, and regular speaker on university campuses, churches, and popular venues. He serves as associate professor of early Christianity at Houston Baptist University and is also founder of the Christian Thinkers Society. His passion is equipping Christians to give intellectually informed accounts of what they believe in the public sphere and what impact those answers make on the betterment of society. God's will is not just for us to be born again but for us to grow into spiritual adults. His intent for the Christian life is for it to be a process of growth in Christlikeness. With that in mind, believers must clearly understand how we can intentionally cooperate with the Holy Spirit's work to grow us into the likeness of Jesus. 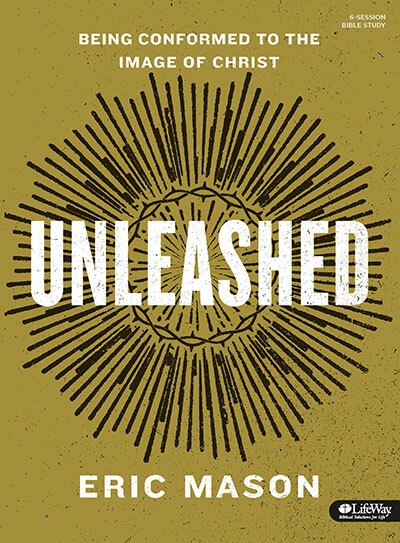 Acknowledging and utilizing the ways God uses different stages and seasons in our lives to shape us, the Unleashed study helps participants understand the lifelong process of spiritual growth and maximize God's work to conform them to the image of Christ. 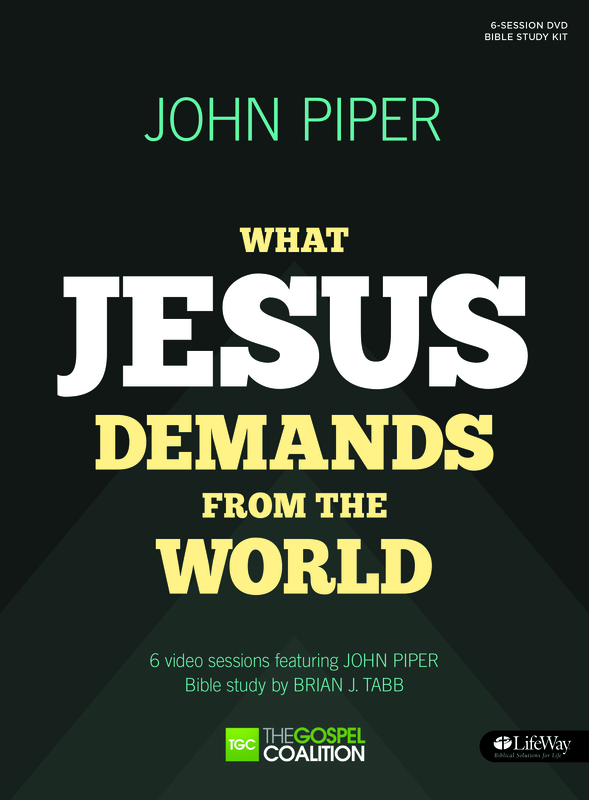 This 6-session Bible study opens the Scriptures to reveal several surprising truths about heaven, giving believers a better understanding of the divine place Jesus has prepared for us. Robert Jeffress is the senior pastor of the thirteen-thousand-member First Baptist Church in Dallas, Texas, and a Fox News contributor. He’s also an adjunct professor at Dallas Theological Seminary. Dr. Jeffress has made more than two thousand guest appearances on various radio and television programs and regularly appears on major mainstream media outlets such as Fox News Channel’s Fox and Friends, Hannity, Lou Dobbs Tonight, Varney & Co., and Judge Jeanine, as well as on ABC’s Good Morning America and HBO’s Real Time with Bill Maher. Dr. Jeffress hosts a daily radio program, Pathway to Victory, which is heard nationwide on more than 930 stations in major markets such as Dallas-Fort Worth; New York City; Chicago; Los Angeles; Houston; Washington, D.C.; San Francisco; Philadelphia; and Seattle. His weekly television program can be seen in 195 countries and on 11,295 cable and satellite systems throughout the world, including China, and on the Trinity Broadcasting Network and Daystar. 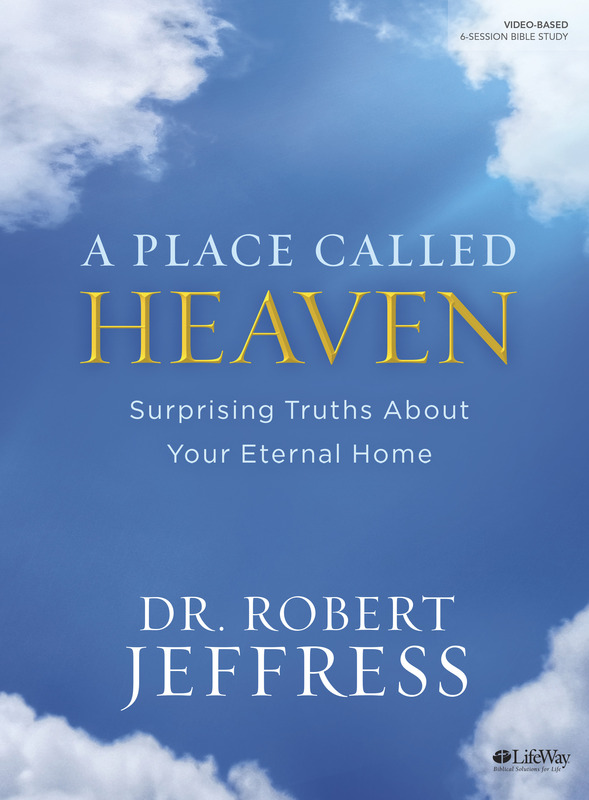 Dr. Jeffress is the author of twenty-four books, including When Forgiveness Doesn’t Make Sense, Countdown to the Apocalypse, Not All Roads Lead to Heaven, and A Place Called Heaven: Ten Surprising Truths about Your Eternal Home. Dr. Jeffress led the congregation of First Baptist Dallas to complete a $135-million re-creation of its downtown campus. The project is the largest in modern church history and serves as a spiritual oasis that covers six blocks of downtown Dallas. Dr. Jeffress graduated from Southwestern Baptist Theological Seminary with a DMin, from Dallas Theological Seminary with a ThM, and from Baylor University with a BS. In May 2010 he was awarded a doctor-of-divinity degree from Dallas Baptist University. In June 2011 Dr. Jeffress received the Distinguished Alumnus of the Year award from Southwestern Baptist Theological Seminary. Dr. Jeffress and his wife, Amy, have two daughters and three grandchildren. 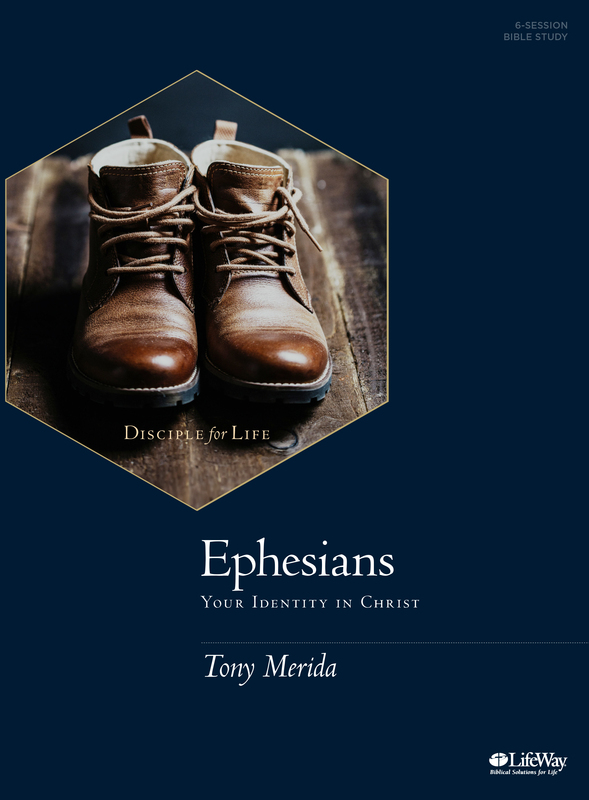 Although Ephesians is one of the New Testament’s shortest books in terms of word count—only 6 chapters and 155 verses—it is perhaps the most applicable to today’s culture. In addition to the divine beauty and power of Ephesians, this epistle also provides Paul’s most direct address about the life of a disciple of Jesus. Paul conveyed his pastoral heart for the Ephesian believers by focusing on who they were in Christ. Specifically he addressed issues related to their new life, the community of believers, the pursuits of unity and holiness, and life’s challenges. God Owns It All tackles the money question we all ask: How much is enough? The answer to this question is found in God’s Word. 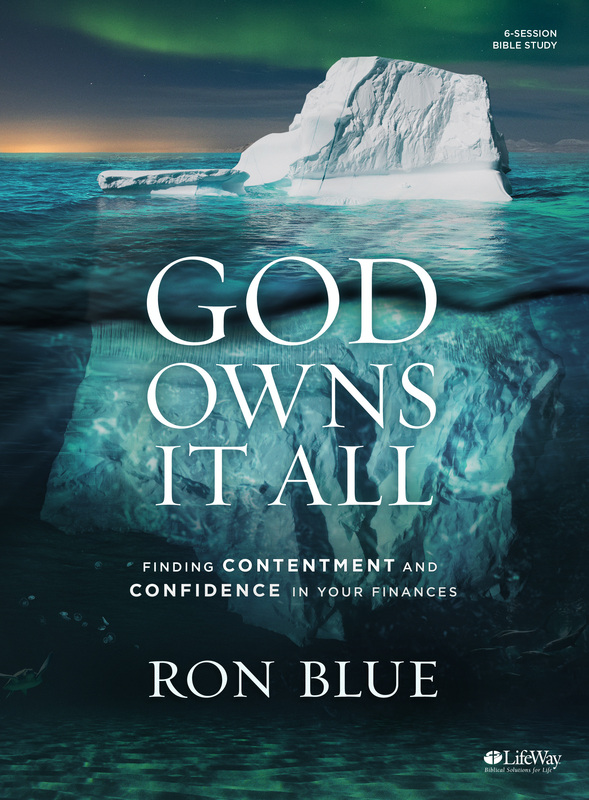 With over four decades of experience in the financial-services industry, Ron Blue presents financial principles that are affirmed by the authority of Scripture and tested by the marketplace. Ron Blue is a successful entrepreneur in the financial services industry with more than 50 years of experience, during which time he helped found Ronald Blue & Co., the National Christian Foundation, and Kingdom Advisors. Ron is the author of more than 20 books on biblical financial planning, including the national bestseller Master Your Money. This 6-session Bible study takes group members deep into understanding that the power, reach and intent of the gospel are much greater than we may realize. Learn how not to miss the biggest evangelism opportunity in the world, your work. 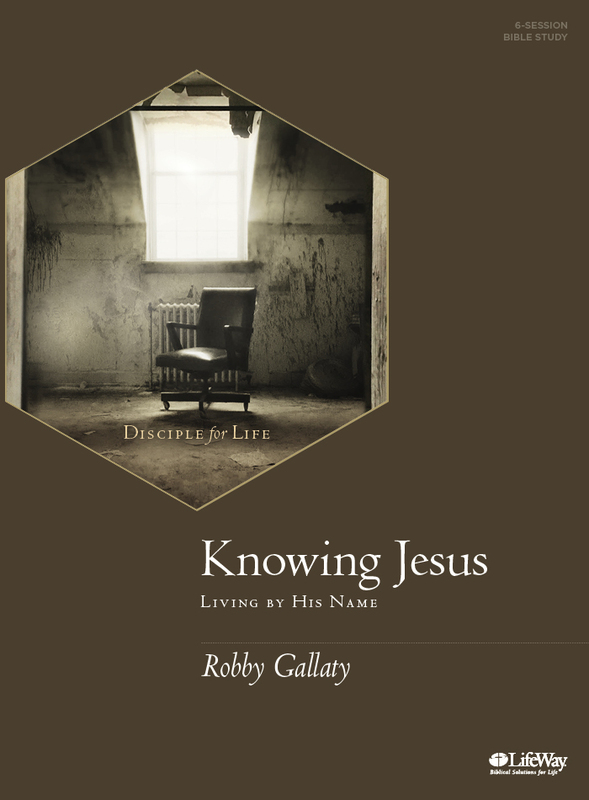 This study serves as an accessible introduction for thoughtful inquirers and new believers, as well as a refreshing reminder for more mature believers of God's plan for His Son's glory and our good. John Piper was born in Chattanooga, Tennessee, to Bill and Ruth Piper January 11, 1946. When John and his older sister were still small, the family moved to Greenville, South Carolina, where John spent his growing-up years. His father was an itinerant evangelist, and his mother died in 1974 in a bus accident while visiting Israel. As the overflow of a church tape ministry, Desiring God was founded in 1994, where John today serves as lead teacher. What started with tapes and John’s books, Desiring God has blossomed into an international web ministry with 12,000+ free resources and 3.5+million monthly users. Today, John serves as lead teacher for the ministry. This 6-session study in the Disciple for Life series equips believers with the tools to put the pursuit of a holy life not only in its proper place but also within reach. It avoids the pitfalls of legalistic structures. Instead, the study, drawing applications from the book of James, encourages believers to pursue a life of continual spiritual growth that is embraced by the grace of God and defined by the gospel of Jesus Christ. Philip Nation serves as the Director of Advancement and Global Impact Churches with the Baptist World Alliance and frequently speak at churches and conferences. He earned a Master of Divinity from Beeson Divinity School and a Doctor of Ministry from Southeastern Baptist Theological Seminary.. Over the years, he has served as a pastor, minister of education, and a church planter. 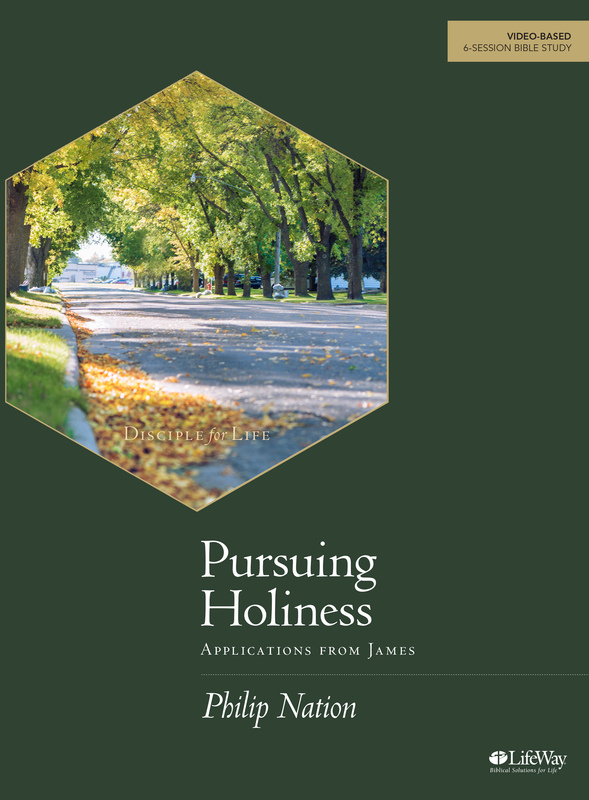 His latest published work is the video-based Bible study Pursuing Holiness: Applications from James. In 2016, he published Habits for Our Holiness: How the Spiritual Disciplines Grow Us Up, Draw Us Together, and Send Us Out with Moody Publishers. He has coauthored two other books: Compelled: Living the Mission of God and Transformational Discipleship: How People Really Grow. He is serving as the Assistant Professor of Leadership and Biblical Studies for Houston Baptist University. He and his wife, Angie, live in Florida. They have two young adult sons Andrew and Chris. This 6-session Bible study shows believers that following Jesus' Model Prayer will lead them to fall more in love with God and grow in their desire to engage in conversation with Him. 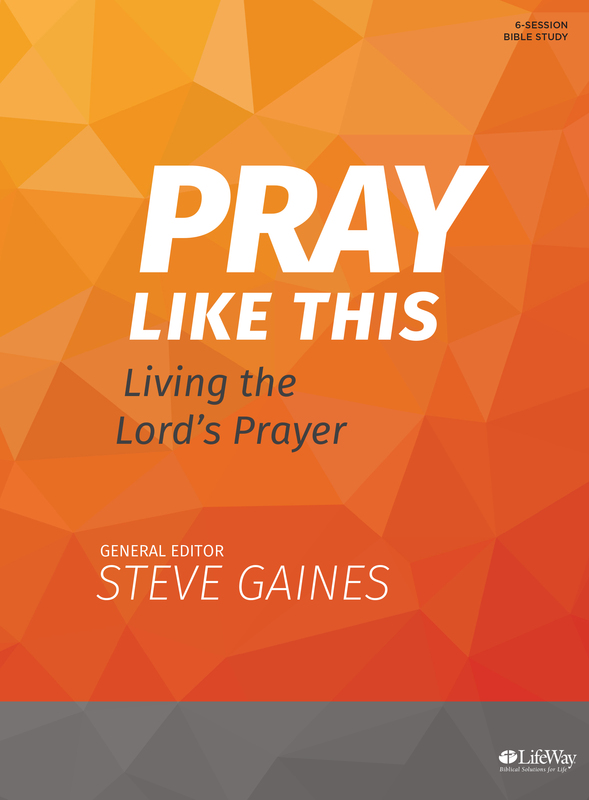 Dr. Steve Gaines has been the Senior Pastor of Bellevue Baptist Church in Memphis, Tennessee since 2005. Since 1983 he has pastored churches in Texas, Tennessee, and Alabama. He holds a Doctor of Philosophy in Preaching from Southwestern Baptist Theological Seminary in Fort Worth, Texas, as well as a Master of Divinity. He received his Bachelor of Science from Union University in Jackson, Tennessee. He has been involved in service to the Southern Baptist Convention (SBC) as a member of the Committee on Nominations (1991 and 1999), a Trustee of LifeWay Christian Resources (1998–2000), and a member of the Baptist Faith and Message Study Committee (1999–2000.) He preached the Convention sermon (2004), served as President of the SBC Pastors’ Conference (2005), and was Chairman of the SBC Resolutions Committee (2015). Steve is married to Donna, and they have four children: Grant (Doctor of Philosophy in Theology from Southern Seminary), Senior Pastor of Calvary Baptist Church, Jackson, Tennessee; Lindsey, homemaker and wife of Ryan Wingo, Worship Pastor at Apex Baptist Church in Apex, North Carolina; Allison, homemaker and wife of Gentry Hill (Master of Divinity from Southern Seminary), Senior Pastor of First Baptist Church Poteau, Oklahoma; and Bethany, a first grade teacher at a Memphis school and married to David Golding with Golding Mechanical Services of Memphis, Tennessee. Steve and Donna have nine grandchildren. This 8-session Bible study gleans wisdom from the Book of Proverbs and from the example of Jesus to show you how to center your life on God’s priorities. You will examine the things that matter most to God and to you as a follower of Christ. Then you will learn to apply godly wisdom that will help you incorporate these activities into your busy life. Jeff Vanderstelt gives his life to teaching and equipping the church and to training and encouraging ministers of the gospel. To that end Jeff leads Saturate and the Soma Family of Churches and teaches at Doxa Church in Bellevue, Washington. He also travels around the United States and the world, equipping the church in the gospel and missional living. When he’s not speaking or teaching, Jeff gets to do a little writing. He’s the author of Saturate: Being Disciples of Jesus in the Everyday Stuff of Life and Gospel Fluency. Additionally, Jeff wrote Saturate Field Guide and The Gospel Fluency Handbook with Ben Connelly. Jeff is married to Jayne, and they have three children: Haylee, Caleb, and Maggie. Robby has served as Senior Pastor of Long Hollow Baptist Church Senior Pastor since 2015. He wasn’t always a pastor, though. For three years, he battled a drug addiction that ravaged his life. A $180 a day heroin and cocaine addiction forced him to steal $15,000 from his parents. After living without gas, electricity, and water for months, losing 8 of his friends to drug related deaths, watching 6 friends arrested, and completing two rehab treatments, Robby remembered the gospel that was shared with him by a friend in college and was radically saved on November 12, 2002.